ChemWater was presented by Gilbert Rios from EMH and Inge Genne from VITO in this event. ChemWater was presented by Thomas Track and Renata Koerfer from Dechema, Gilbert Rios and Sadika Guedidi from EMH and Inge Genne from VITO in this event. ♦ WASSER BERLIN INTERNATIONAL Congress, 23-26 April 2013, Berlin, Germany. ChemWater was presented Inge Genne from VITO in this event. ChemWater was presented by Inge Genne from VITO in this event. 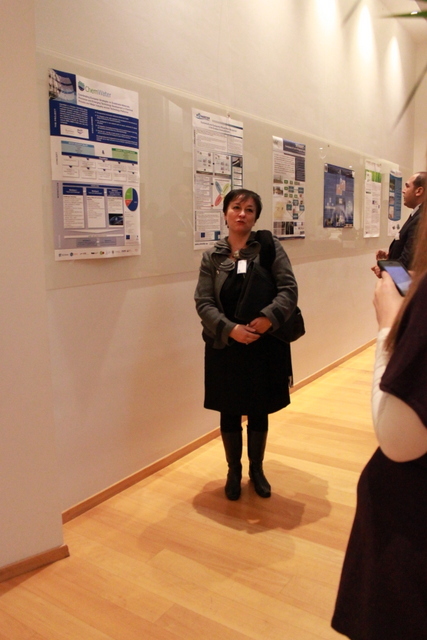 Renata koerfer from Dechema have presented the ChemWater project results during the water session. The STEP-WISE and STREAM Final Conference was concluded with a session at the European Parliament on 4th December with the attendance of 67 participants from 12 countries representing 16 from Policy, 21 from Research and 17 from Industry and Consultancy sectors, and 13 from other areas (NGOs, media, communication and education). The first day at the International Auditorium focused on presenting, evaluating and discussing practical instruments to enhance communication and dissemination of projects research results. 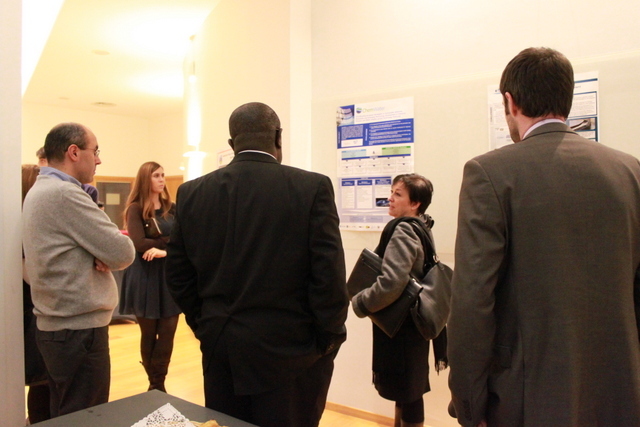 The conference also provided an exchange of experience and ideas during poster presentation sessions, where EU funded water research projects made brief presentations of their projects and answered questions by participants. The second day of the conference, hosted by the MEP Cristina Gutiérrez-Cortines, took place at the European Parliament and a high-level discussion was made on the roadmap recommendations. 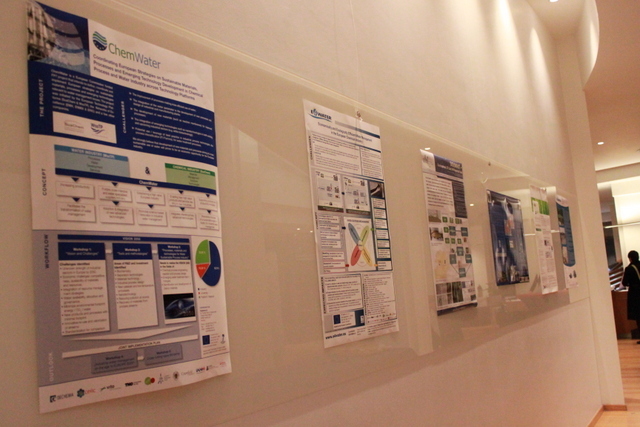 The main output of the conference was a roadmap with recommendations based on the experiences of the SPI-Cluster projects STREAM, STEP-WISE and WaterDiss2.0, as well as the discussions made during the first day of the conference. Among the roadmap recommendations are that the research projects should ensure to have professional communication strategy targeting the necessary stakeholders, the European Commission should fence resources and online tools for making research results available after the project ends, research projects should prepare policy briefs to demonstrate how their results are relevant for EU and national politicians and thematic conferences gathering various research projects should be considered to reach the industry more effectively. ♦ World Water Week in Stockholm. The World Water Week in Stockholm is the annual meeting place for the planet’s most urgent water-related issues. It is a global conference focused on big issues and practical solutions organised by the Stockholm International Water Institute (SIWI). Over 2,000 politicians, mayors, scientists, water professionals and leaders of international organisations from more than 100 nations have gathered in Stockholm, Sweden, for the annual event, which this year carried the theme Water and Food Security. Each year the World Water Week addresses a particular theme to enable a deeper examination of a specific water-related topic. While not all events during the week relate to the overall theme, the workshops driven by the Scientific Programme Committee and many seminars and side events do focus on various aspects of the theme. Meetings and sessions In the over 100 sessions throughout the week, the convening experts have debated and showcased solutions to ensure that the planets limited water resources can meet the needs of growing economies and support a healthy global population. They have also discussed the latest innovations and successful practices to provide clean water and safe sanitation to the over two billion people who live without sustainable access to these basic services. Participants at the week have also deliberated on issues countries leasing foreign land for agricultural production, trade, human rights, climate change, and the inter-linkages between food, water and energy production. The International Water Resource Economics Consortium (IWREC) successfully hosted a Chief Economist Panel debate on how to use economic policy instruments to manage water more efficiently. Afternoon session - The High-Level Panel discussed protecting local rights on land acquisitions. - At a session entitled The Role of Water and Sanitation in Enhancing Resilience and Food Security, CPWF Director described how CPFW has conducted research in ten river basins grouping together 1.5 billion of the world’s poorest people, where 50 percent of that population lives on less than EUR 1 per day. What is surprising is that water scarcity is not affecting our ability to grow enough food. “What matters is our inability to make efficient use of the water available – it is an institutional and political challenge and not a resource concern,” said CPWF Director. ChemWater was presented by Renata Koerfer from Dechema. ♦ Industrial Technologies 2012 on June 19-21st 2012. Aarhus, Denmark. Industrial Technologies 2012 was held on June 19-21st 2012 in Aarhus, Denmark. It is the largest event in the field of industrial technologies (nano, materials and production) showing how innovation can boost European growth and competitiveness. Three days of insightful plenaries and conference sessions with over 100 speakers revealed the impact of industrial technologies and promoted solutions to improve the environment for innovation in Europe, including workshops, matchmaking, poster sessions and site visits to leading Danish companies. 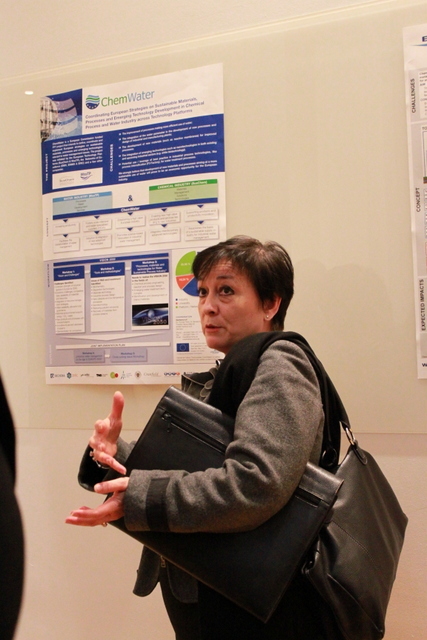 ♦Joint stakeholder event with ACQUEAU, Water Innovation Europe. This event took place on May 15-16th 2012 at the International Press Centre in Brussels. The aim was to push forward the central initiative of the European water sector: innovative collaboration for sustainable & competitive results, through active discussion and debate. ChemWater was presented by Dechema, Cefic and EMH. 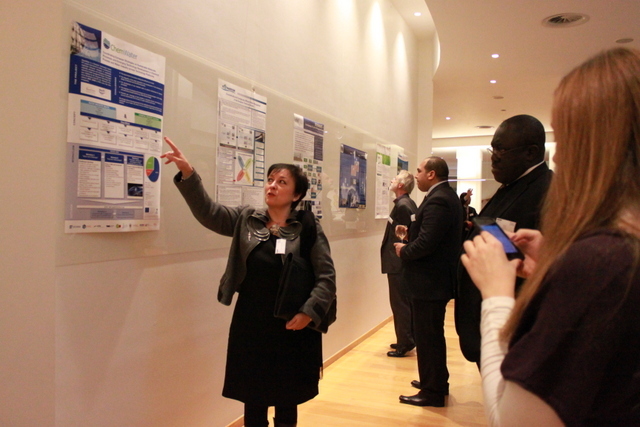 This event was held on April 17-18th 2012 in Brussels. ChemWater's partners were present. ♦ Technoport 2012 - April 16-18th 2012. Trondheim, Norway. ChemWater was presented by Michael Stöcker from ENMIX in this event.